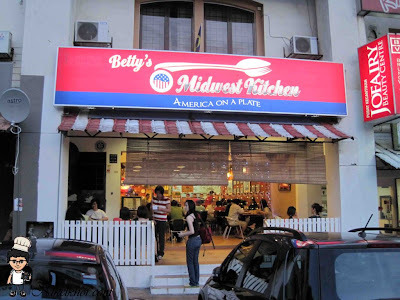 As the name reveals, is dedicated to offering food as traditionally prepared and eaten by people of American heartland. We have through our years of association with the region and its people come to appreciate it's homey food which are simple and hearty, yet tasty and nourishing. Come experience the Midwest tradition in a homey and cosy set up to complement the dining experience. This dinner is my big day dinner. Phew. Birthday Dinner as well. This birthday dinner has been planned long time ago since my friends mentioned it. Very good and wonderful birthday dinner party. Looking forward for my next year birthday dinner. 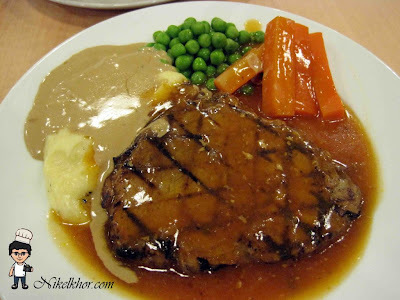 Overall, the restaurant is a very good dining place with good ambience and delicious foods. due to it, many of us are willing to wait outside before to be served for quite awhile. 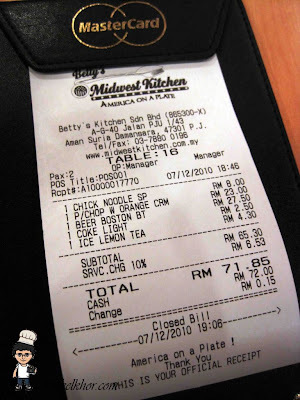 the restaurant was crowded already when it was just 6.30pm. good foods are worth for waiting. by the way, to avoid crowd, please go earlier.. They offer light, clear broth of vegetables and meat, both tasty and nourishing as enjoyed by people of the American Heartland. Some of their featured soups are the chicken noodle, ham & tomato, roasted chicken onion and ham & green split pea soups. Their soups are made fresh daily. 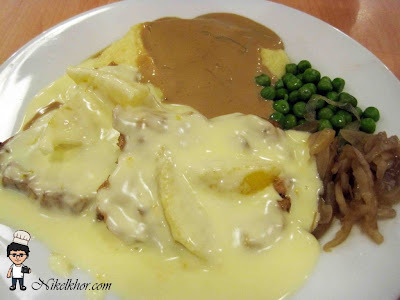 you will normally get those creamy soup from western food restaurants, but it is different here! the chicken noodles soup that we have is really nice and in big portion. oh ya, it tastes like ABC soup just like my mother-cooked. 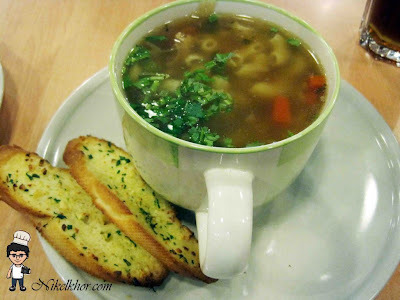 macaroni and varieties of vegetables are added in the soup to balance up the nutrient. the crispy and buttered garlic bread is great to eat with the soup. A pork shoulder braised in beer for 4 to 6 hours, sliced and grilled. Served with their house mash potato, peas and carrots. the gravy is deserved to be praised also. house mash potatoes and peas. the gravy on the top is rich with cheese and orange juice, the most natural seasonings. the saltiness comes with the cheese, and the sweetness comes form the orange juice. @medie007 haha..should be eat once ..try it..
Yorrr wanaa try this since long long time ago!! !TT looks nice! @domokun ya... i also wait long time..and been try few days ago..